A James Jaeger Film featuring RON PAUL, Congressman/Presidential Candidate; PAT BUCHANAN, Author/Political Analyst; G. EDWARD GRIFFIN, Author/Producer; EDWIN VIEIRA, Author/Constitutional Attorney and TED BAEHR, Founder of MovieGuide and Christian Film & TV Commission — CULTURAL MARXISM explores the love affair with collectivist ideologies that has lead to ever bigger government and the welfare-warfare state. Find out how the Frankfurt School, a Marxist splinter group, established itself at Columbia University and began “the long march through the institutions.” The idea was, and still is, to infiltrate every corner of Western culture and pervert traditional Christian values with “political correctness” and Marxist ideologies. The ultimate goal is to destroy American free-enterprise capitalism by undermining its economic engine, the Middle Class, and the basic building block of society: the Family Unit. 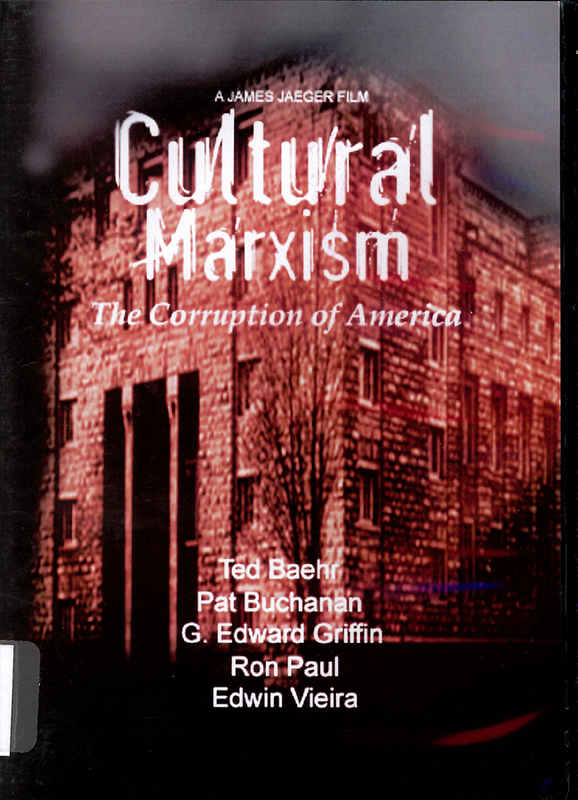 To watch the film, click on the link entitled “CULTURAL MARXISM: The Corruption of America“.